A boutique hotel. Close to 4 wineries (bodegas). There’s a small amount of vines in the front. 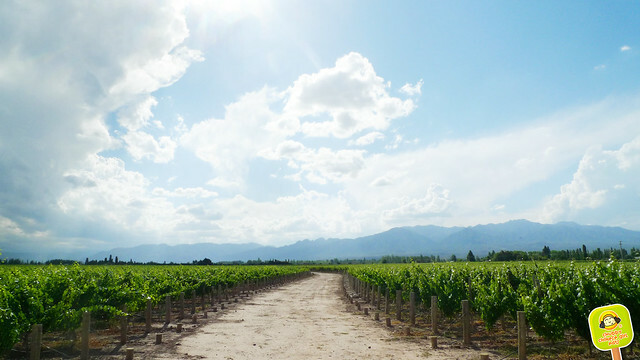 They produce their own Malbec in very small quantities. The staff is super friendly and basically helped us plan our day to day. From renting bikes, to car and anything we needed in between. Eugenia was so warm and took care of us in every way. 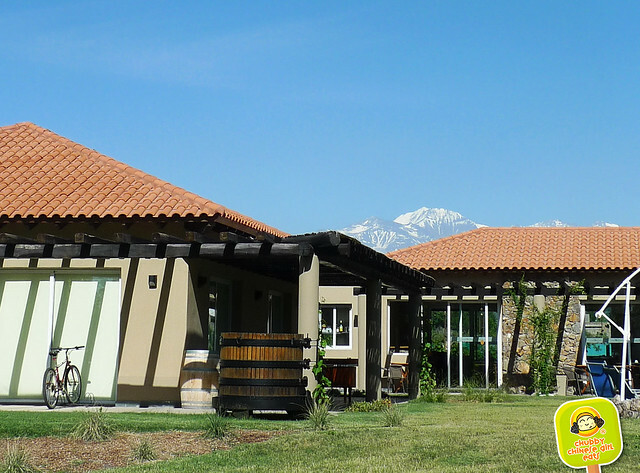 Quiet with great views of the Aconcagua (snow capped mountain) on one side and Andes on the other side. We arrived in the morning, after settling down, we opted to have lunch in their restaurant. I had my reservations about it being touristy, but pleasantly surprised by the quality of food. We actually ate most of our meals there and loved it. 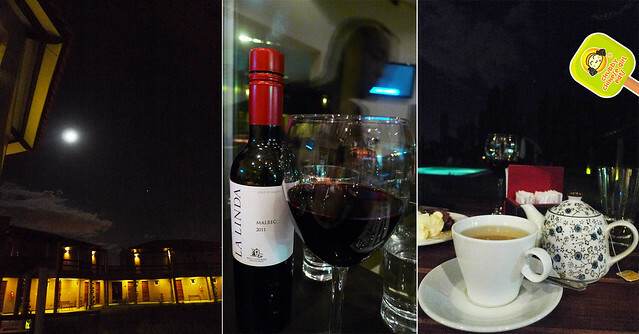 I don’t usually stay in this much while traveling, but because the hotel was a bit further from town, we just preferred to end our nights by the outdoor seating area with a nice bottle of Malbec. Nice and relaxing. 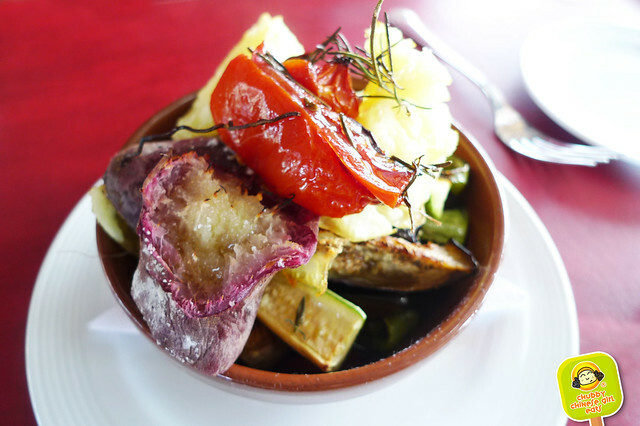 Clay Pot Baked Vegetables with Rosemary was so simple yet so flavorful. The rosemary enhanced the natural aromas of each vegetable. 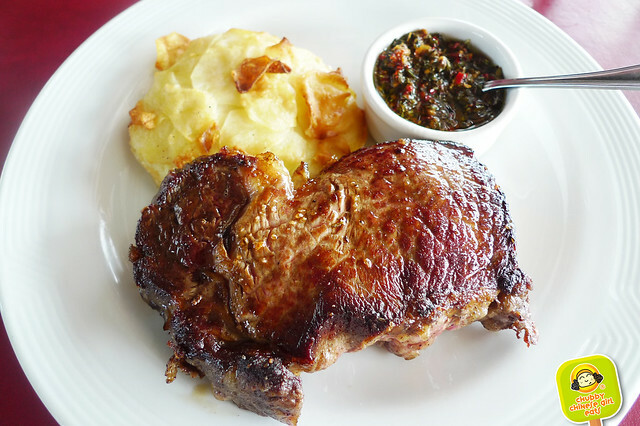 Bife de Chorizo (Sirloin Steak) with Scalloped Potatoes and Chimichurri Sauce was perfectly cooked. That nice crust on the outside, while the inside was “jugoso” (extra juicy)!!! Ohhh so tender and goood. There’s nothing like having beef back home. And of course the quintissential chimichurri and a pinch of salt. 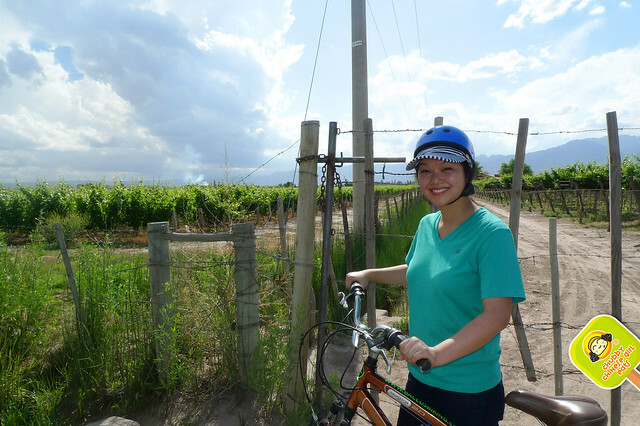 After lunch, Eugenia from front desk called to get us our bikes delivered to the hotel for 100 peso a day (about $20). The views around were breathtaking. After riding in the sun we went back to rest… siesta time! The room is quite big and comfortable. Minimalistic. StalkerBoy was addicted to their warm bread, fresh out of the oven. They are freshly baked from the dough that’s bought from a local bakery. 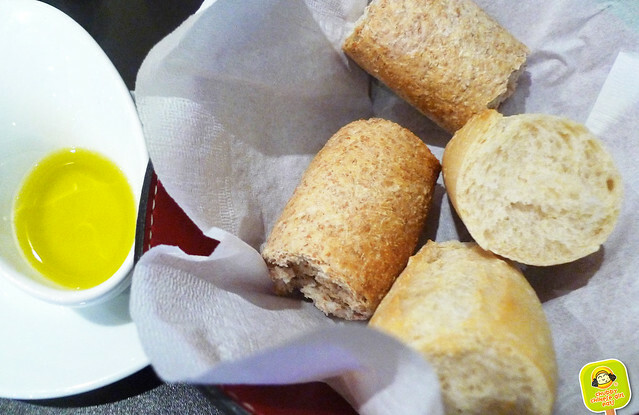 Nothing like good bread and olive oil. 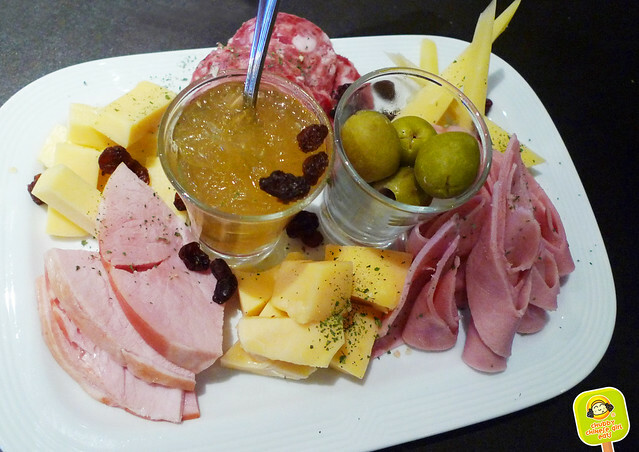 Picada (meat and cheese plate) to start off. Nothing out of the ordinary, but decent. 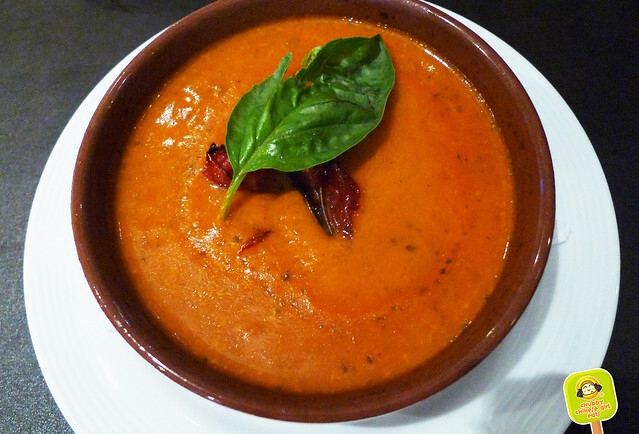 Tomato Basil Soup. Had a nice balance of sweet and tart from the tomatoes. Great consistency to dip the bread in. Mmmm mmm good. 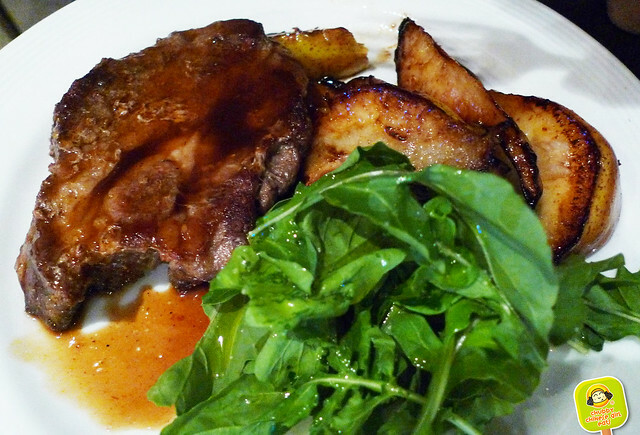 Grilled Pork Chop with Caramelized Pears was another hit! The chef uses the oven well… The pork is juicy and tender. The flavors of the meat are brought out by the smokey/sweet pears. And a bit of that tart/peppery arugula to brighten everything. 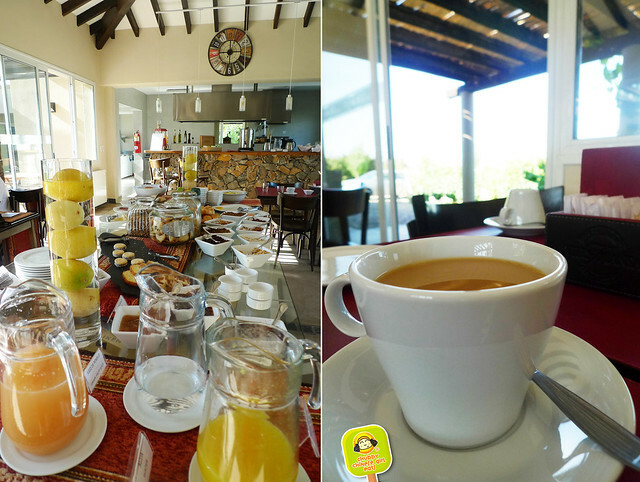 We recharged every morning before heading out with their complimentary breakfast. Fresh juices, eggs, and tons of pastries. 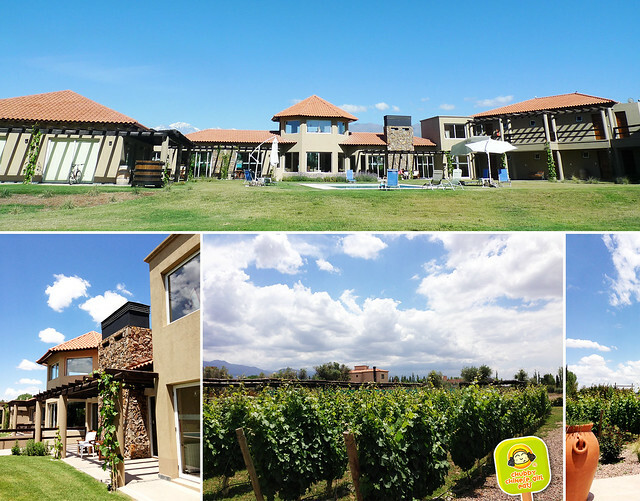 After our big breakfast we did a day trip of Alta Montaña/Puente Inca and Villavicencio one day and the next a full day of Winery Tours and an unforgettable lunch right next to the vineyards of Ruca Malen. All coordinated by Eugenia! (Posts to come soon). 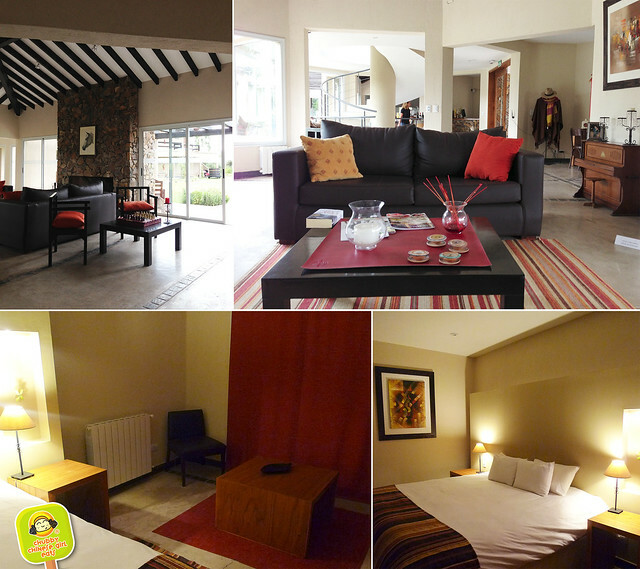 I would definitely recommend Villa Mansa Wine Hotel if you are visiting. We had a spectacular stay. Remises aka cabs are easy to get and will take you all around (it is inexpensive). You can also rent a car for the day or your whole stay at about $50/per day.